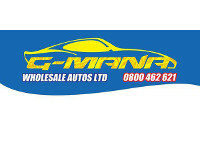 G-Mana Wholesale Autos Ltd has been a loyal provider of the best quality cars for more than a decade now. We have helped a lot of our Pacific Island and Samoan communities and have given back tremendously to our community by supporting and sponsoring a lot of community events. The G-Mana range includes family sedans, station wagons, people movers - seven to 10 seater vans, hatchbacks, sport models, 4WDs, pickup trucks and other light commercial vehicles, Authorised dealers for Mahindra You won't see them all on the yard - it's not big enough to fit them all in. Instead you can call into the sales office, take a break from the hot sun, and view the complete selection on the computer. And if you see something you like, the staff will bring it around so you can have a test drive. Need a Car? No License? Need Finance? Are you 18 years old? Credit problems? Do you want to trade in your car? Then look no further than G-Mana! At G-Mana Wholesale Autos you're sure to find just what you're looking for. With over 200 vehicles to choose from, there is something for everyone. So come on over, check us out and "Drive With G-Mana"
We are Used Car and Truck Dealers who have been providing dedicated car dealership for over a decade. We particularly cater to our Pacific Island and Samoan clients, although everyone is welcome.